Home security is one of the most important gifts you can give your family. Knowing you are safe when you are home is priceless. Knowing your home is safe when you are not in it is equally priceless. If you are on the fence about a home security system, here are eight great reasons it’s time to invest today. Burglars and criminals are less likely to target a home that has a security system. Home security is a powerful deterrent, which means your family is safer at home. Criminals look for these when they want to target a home, and most turn around when they notice a system. If your family sleeps through a criminal breaking into your home, you may not be able to save them. However, you can protect your family by providing them the benefit of knowing that someone has opened a window or door any time of the day. This helps them prepare for what’s happening instead of ending up surprised when it’s too late. Did you know a security system is about more than just criminals? You can protect your family from the dangers lurking outside even if they aren’t the kind that come inside. For example, if your system comes with a door chime, you will know anytime a door is opened. This might be the notification you need to keep a child inside rather than in the pool. Your homeowner’s insurance premium might go down if you have a security system at home. Call them to find out if you have this option. If you don’t, you can shop around for a lower rate elsewhere by providing them with the name of your security system. How often do you travel and wonder what’s going on at home? Now you don’t have to wonder. A security system allows you to know if your home is safe and sound even when you are not there to check on it. With a security system, you can protect your home from anywhere in the world. You can use your app to turn on the lights, to set the alarm, and even the check on other things. Being remotely connected makes your life easier. It also helps you sleep better at night. 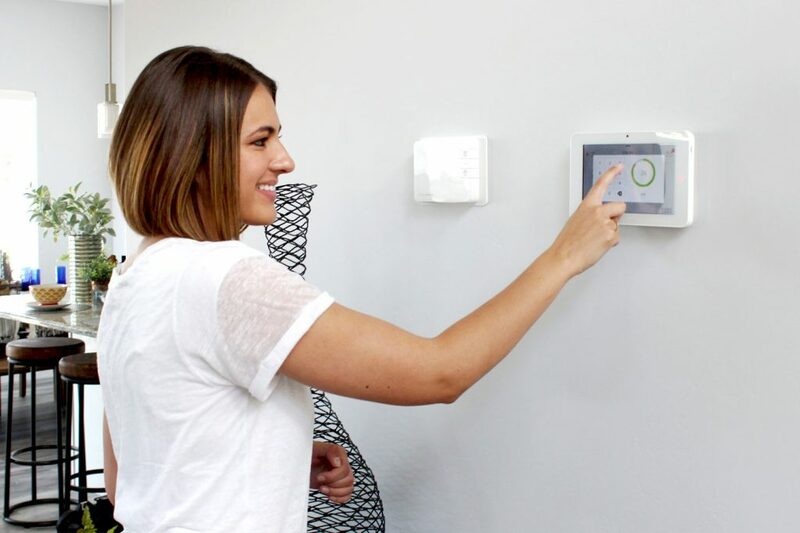 Many security systems now come with smart thermostats and outlets you can control remotely. You can save money on utilities by changing the thermostat anywhere in the world. You can save on worry by turning off outlets if you’re not sure you unplugged something. You can even control the lights and other features in your home. If you have kids, you worry about them. With a security system, you can check on them using cameras and other smart technology. You know when they get home from school in the afternoons. You know if they open a door or window. You know everything, and you can even keep track of who comes to your front door when you’re not home. A security system is a great investment for the simple reason it makes you feel better about your own life. You are more relaxed, and that’s a priceless feeling. 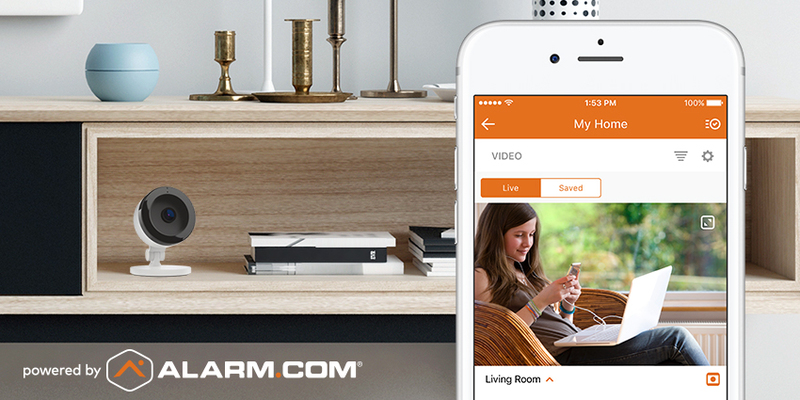 Your home and your family are your priority, and a security system helps you keep them safe. Today you live in a smart home, and your home is being made capable of being able to do a lot of automated tasks. One of the areas of interest that is becoming popular is improved home security. Since the technology and processing power exists to do some pretty amazing things with the security of your home, this makes it possible for a home owner to get a lot of security tweaks for an ever-reducing cost. With that in mind, the following are a few areas of automation that will benefit you and your family. 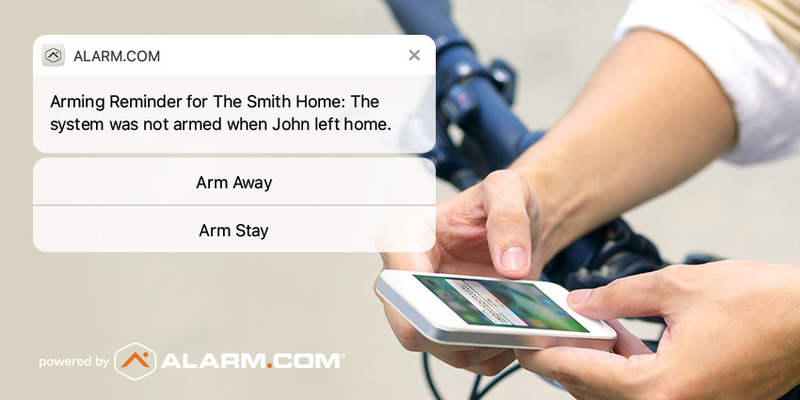 You left your smart home and were a good way down the road before you remembered you forgot to arm your home alarm. While most people would be fuming by realizing this and complaining about the hassle of having to turn around to fix it, you calmly pull out your smart phone and use your onboard app to arm your alarm system by remote. The added benefit of not having to go back to do this manually means that you will have saved a ton of time and gas in the process that would have been wasted otherwise. 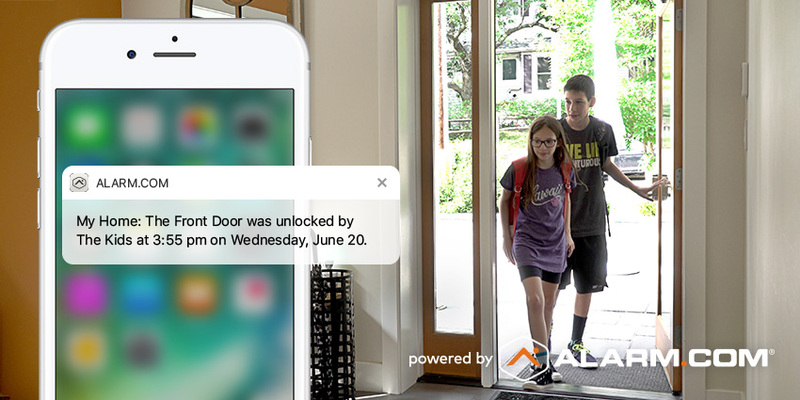 One of the great aspects of technology-based security upgrades for a home is that more and more security devices are able to learn and adapt to your schedule. If you regularly come in late at night, your home can prepare for your arrival by turning on the lights for you. This is an important home security measure, because you do not have to get out of your car in the darkness anymore and fumble for the right key. Rather, your security lighting is ready to go as you pull into the driveway and will fire up when you get into a close enough proximity to your home. The lighting that comes on for you will illuminate your path to the front door. While it is nice to have cameras watching everything that goes on outside your dwelling, you can set your home security system up to alert your smartphone any time someone gets too close to your home. You can access any camera by remote and watch a real time feed of the kind of activity going on outside. This also gives you the advantage of taking a solid look around your smart home for intruders before leaving your house. Senior citizens are often seen as easy targets for robbery, burglary and similar crimes. As such, it’s important for seniors to be well-informed and to take every possible precaution to protect themselves from break-ins, fraud and other crimes. There are a few easy steps that seniors (and their families and caregivers) can take to ensure that they remain safe and secure, as discussed in a recent Senior Living blog post. We’ll summarize those steps below. 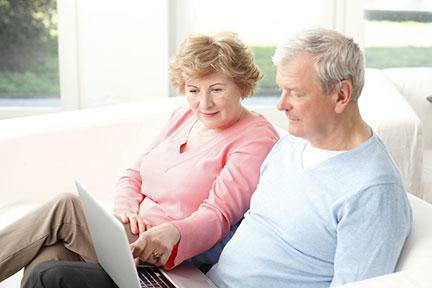 Don’t have regular monthly checks – such a pension or Social Security checks – sent through the mail. Have them direct deposited instead. Don’t include sensitive personal information in emails or text messages. Beware of scams – if it sounds too good to be true, it probably is. Make sure all doors are locked when you’re both at home and out. Lock windows as well. When someone knocks on the door, use a peephole or small window to verify their identity before opening the door. Don’t leave a door key under the doormat or hidden in another location near the door. 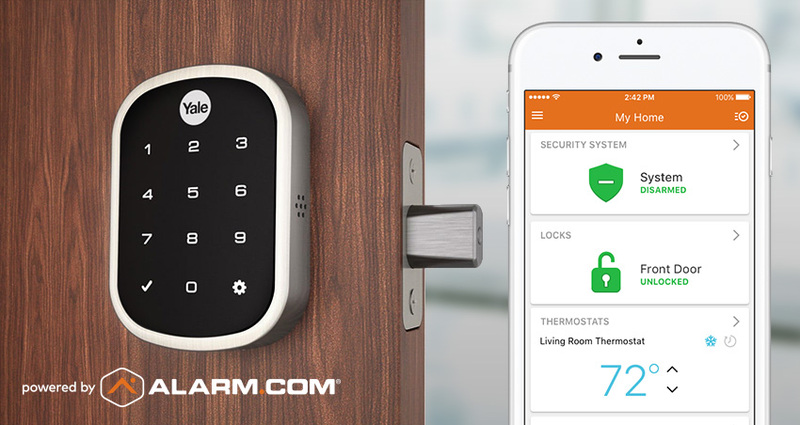 Give keys to trusted family members or caregivers, or install a smart lock that can be operated remotely. Install motion sensor lights near doors and in dark places throughout the lawn. Choose doors made from solid wood or metal, and ensure that the doorframe is strong. Invest in a home security system. Not only are security systems the best way to prevent break-ins, but they can also be valuable in medical emergencies, fires and more. Security systems are especially important for seniors who travel regularly or live in a different city for extended portions of every year. At KMT Systems, we aim to ensure that all Atlanta-area senior citizens are well-protected and safe. 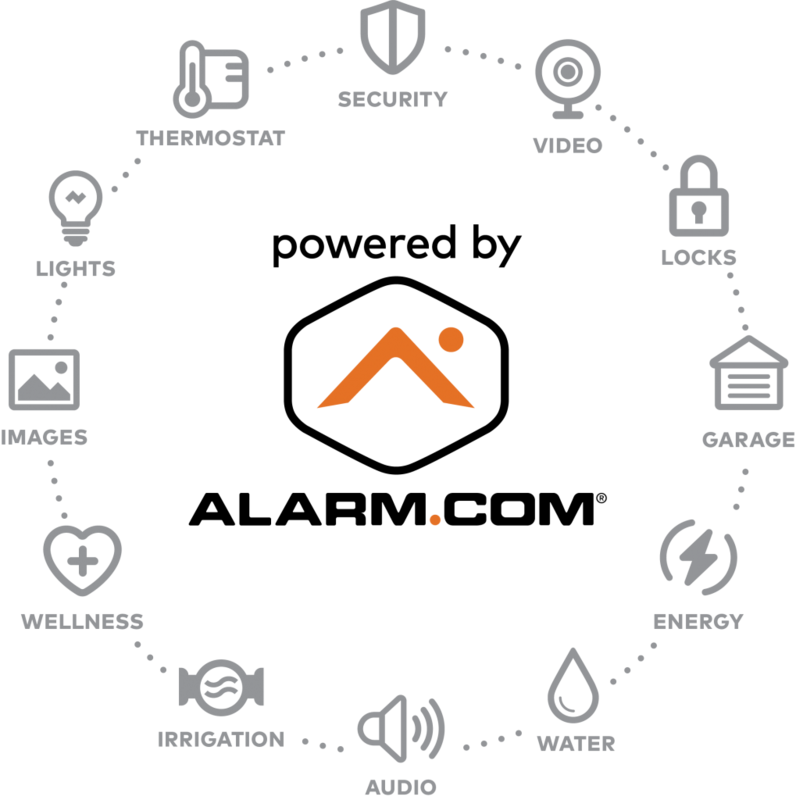 Our home security systems and smart home automation can be easily customized to fit your needs and budget. Get in touch today to get started! My Top Five Home Security Tips for 2015…At the start of each year I publish my top five home security tips for the year. People use these tips to make their family home more secure. Here are this year’s home security tips. Internet security is on everyone’s mind with the data breaches experienced by large and small corporations. Are you award that the bad guy also use the internet to scope out their next home targets? It seems harmless to tell the world on Facebook that you will be away in Florida for a winter’s vacation. What more does a bad guy need to target your home? Keep your whereabouts off of social media. The doormat. This is one of my favorites items about home security. Where do you think the bad guys will look for your house key? In all the obvious places, including under the doormat? Don’t make this obvious home security mistake. Darkness is a friend of the home intruder. Inside lights put on a timer and outdoor lighting that makes your home visible are some of the best home security defenses. Bad guys hate lights. Secure your entry points. Outside doors should be solid wood or metal with 3” screws to secure the strike plate. All windows should have working locks. You don’t want to be cheap and security sorry about your doors and windows. Home security systems can provide peace of mind for you and your family. But like other security measures, they only work when you arm and use them properly. 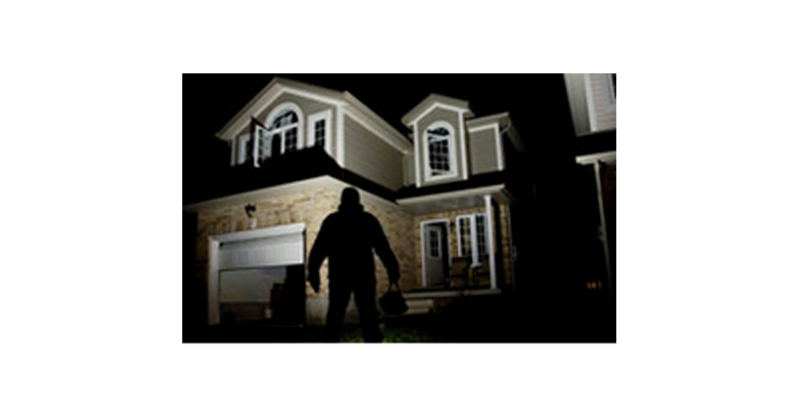 The signs that notify others you have a home security system do keep the bad guys away. Don’t hide them away behind a bush. According to FBI statistics every 15 seconds a house is broken into. Follow these five home security tips to make you and your family safer during 2015. 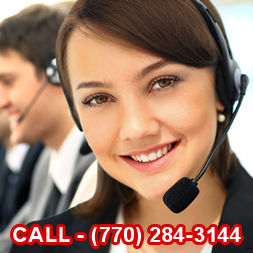 If 2015 is your time for installing a home security system, give us a call. We will show you how to make your home more secure.